Clifton Kew, M.D., conducts an appointment from his office in Birmingham with Sheri Faulk, a kidney transplant recipient from Dothan.For more than 20 years, Sheri Faulk has had to take at least one day off of work, drive nearly 200 miles to Birmingham from Dothan and pay for a hotel room in order to spend a few hours with her transplant doctor at the University of Alabama at Birmingham — all to check in on the health of her transplanted kidney. Now, thanks to a new telehealth initiative, she only has to travel to the Pike County Health Department in Troy to see her doctor, Clifton Kew, M.D., the medical director of the Kidney and Pancreas Transplant Program, in Birmingham. Faulk, who was diagnosed with kidney disease while she was in college in 1991, has received two kidney transplants since. The first lasted only four years. In 1997, her sister was found to be a match and donated her kidney, which continues to work today. With the help of a nurse at the Pike County Health Department and videoconferencing, Faulk was able to meet with Kew “face to face.” Kew listened to her heartbeat by using a Bluetooth-enabled stethoscope, discussed her vital signs and medications with her, and checked the swelling of her legs to see if there were signs of edema by using a high-definition camera. Faulk says the appointment took less time than in the past. Kew conducts the appointment from his office while Faulk is at Pike County Health Department.From the time she walked into the clinic to when she left, Faulk says, took less than an hour. She is the second post-kidney transplant patient Kew has seen for a telehealth appointment. He saw a third patient, who was also at the Pike County Health Department, shortly after. He hopes the number of remote patients continues to grow. 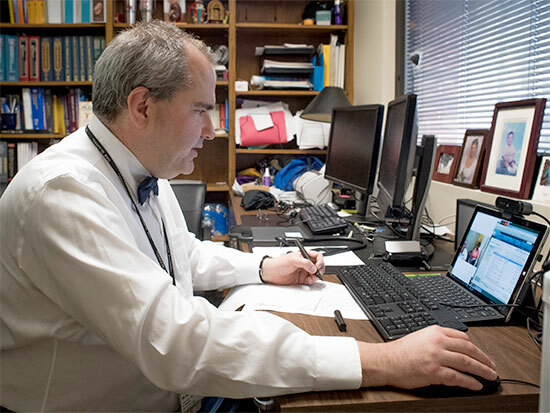 Kidney transplant patients are not the first at UAB to benefit from telehealth. In January of 2016, Eric Wallace, M.D., a nephrologist and the medical director of Telehealth at UAB, conducted what is believed to be the first telehealth visit for a home dialysis patient in the United States. Wallace says expanding telehealth to more areas will save lives. 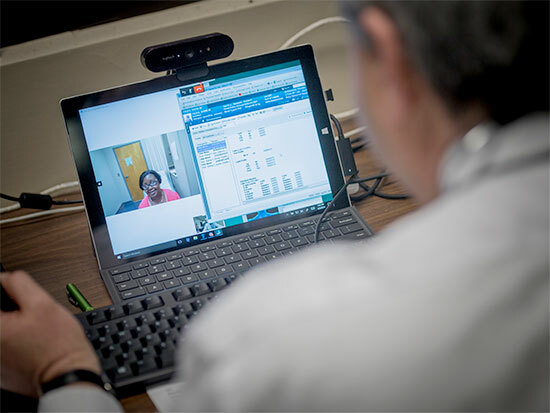 UAB received a grant from the U.S. Department of Agriculture in January to help grow its telehealth network. The nearly $500,000 grant will fund telehealth equipment at 19 locations around the state, including nine hospitals and 10 Alabama Department of Public Health county health departments. UAB hopes to grow the telehealth visits to other organ transplant areas. Brian Berthiaume, one of the administrative leaders in transplant at UAB, says they plan to conduct similar telehealth visits with liver transplant patients in the next few months. He believes telehealth is a win for both patients and their doctors.